Following the success of its open source ResearchKit, Apple is launching CareKit for app developers, which will not rely solely on patient reported outcomes to manage health. Daniel Ghinn provides a round-up of what doctors think of this latest tool. 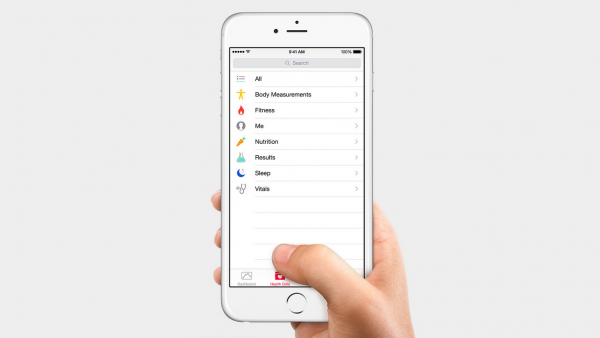 ‘The more you know about your health, the better you can look after it’, reads Apple’s introduction to CareKit, its open source software framework, announced last month, that allows developers to build apps that help people manage medical conditions. CareKit is the latest in a series of Apple tools designed to transform medical research and care using its iPhone technology – which is in the hands of hundreds of millions of users – to connect people, doctors and researchers through meaningful data. Last year, Apple launched ResearchKit to give medical researchers the potential to run far-reaching clinical studies at low cost. Apple chief operating officer Jeff Williams said in an announcement in March 2016 that ResearchKit had already had a profound impact on the pace and scale of medical research – initial apps, developed in partnership with universities and hospitals, have supported research in asthma, breast cancer, cardiovascular disease, diabetes and Parkinson’s disease. Williams stated that CareKit would take many of the same principles and apply them to individual care by giving people tools to understand what is happening with their health and empowering them to take a more active role in managing it. CareKit apps in development include One Drop, which uses CareKit modules to let people with diabetes track their feelings of pain, hunger and dizziness against measurements such as glucose levels, and to share this information with caregivers. Another app, Start, will help people on antidepressants understand if their medication is working for them or not, and will help their doctors deliver more informed care. Do doctors care about CareKit? Since Apple’s CareKit promises to transform patient care, doctors are perhaps more interested in the technology than the general public: as one doctor noted after watching Apple’s public live new products announcement on 21st March, “a new nylon Apple watch strap got more applause than #CareKit!! Sigh”. “Awesome”, tweeted Professor of Paediatrics at Drexel University College of Medicine, Terry Adirim MD. In Canada, family physician Lynn Wilson shared her excitement about CareKit. Apple to drive quality of care? Doctors were largely positive about Apple’s deeper move into the healthcare arena. Alexander Zehnder, a former doctor and now CEO of Sanofi in Italy, was optimistic: “Apple increasingly health conscious: the latest news is CareKit, also useful for research” he tweeted in Italian. A post on Christopher Brennan, MD’s blog commented that “If CareKit sees big uptake, it could really drive the monitoring of outcomes and quality of care”. Meanwhile in Japan, Dr Takehiko Sugawara posted a link to an article with news of the new framework, tweeting that Apple had evolved its health tools to allow people to actively manage their health. In a Huffington Post piece, Dr Jaime Hatcher-Martin pointed out that a key aspect of CareKit is that, unlike most medical apps to date, it does not rely solely on patient-reported outcomes. John D Halamka MD, an emergency physician and Harvard Medical School professor who is also Chief Information Officer of Beth Israel Deaconess Medical Center, reflected on CareKit on his blog. Beth Israel has already piloted Apple’s health technology and Dr Halamka said that CareKit would play a part in the hospital’s focus on wellness. “Our vision is that objective data such as weight and blood pressure needs to be combined with subjective data such as activities of daily living, mood, and adherence to care plans in order to create a true measure of outcome,” he posted. However, not all doctors were as upbeat about CareKit. Mike Directo, MD, sparked a discussion when he said that, despite many existing apps for patient-managed health, there had been little overall impact on health. Concerned about the dangers of using technology to “keep the doctor away” Radiologist Giovanni Rinaldi MD pointed out that “CareKit is not a physician”. Rafael Grossmann, a surgeon who passionately advocates for technology’s role in improving patient care, shared an article suggesting that ahead of CareKit’s debut, physicians are still sceptical of health apps. When I asked Dr Grossmann about his views on CareKit, he said he felt it was a great initiative and that, as an optimist, he thought it could be put to great use, but he admitted it was too early to tell. What does this mean for pharma? It’s clear that there is plenty of optimism among innovative doctors, who sense that Apple has created something new and valuable for health apps. Balanced with a perhaps healthy level of scepticism among peers in the online doctor community, it’s possible that Apple has created in CareKit something that might just be a game-changer for mobile health. For pharma companies looking to deliver value to health systems and patient care beyond simply the delivery of medicines (or ‘beyond the pill’), the launch of CareKit could provide a stimulus for partnering with doctors. By identifying and engaging doctors with a vision for improving patient care through mobile health, companies could develop innovative, collaborative tools that benefit patients. At this stage, for those willing to develop pilots, the opportunities are endless. Daniel Ghinn is CEO and Founder of healthcare market research consultancy Creation Healthcare. He tweets at @engagementstrat. Insights for this article were analysed using Creation Pinpoint, the HCP online insights platform.